I'm an independent professional in the field of software development, with almost twenty years of working experience in three different continents. I help my clients to develop better software and to creating better development teams; and I support individuals and teams who want to improve technically and relationally. I had clients from many different domains, which can range from large organizations such as the European Commission in Brussels, or large multinational banks, to small and dynamic IT companies. I have been a speaker at major international IT conferences, occasionally in front of audiences of 1000-2000 people, and I contributed to a few books and publications. I currently work in Europe; I also worked for four years in the U.S. on a O-1 visa for "extraordinary abilities in Sciences". More information is available at http://andreaprovaglio.com/about. I'm a generalist with a very broad knowledge of computer science and software engineering. I have deep expertise in multiple areas including knowledge engineering and mobile computing as well as Agile and Lean software development processes and team dynamics. Since I got my first computer in 1985, programming has been a hobby for me. I worked part-time in various IT jobs 1993-1999, full-time as a software engineer from 2000, then jumped into process development in 2004 and into the development of Agile software organizations in 2007. I have led and coached teams for many years and have experience from Agile deployments covering thousands of software engineers in over 100 teams. I am currently working on a PhD in economics -- more specifically, the management and organization of agile software organizations -- and working as a consulting Agile Coach at agile42. 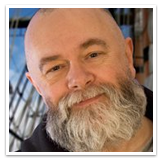 Bob Marshall has dedicated his career to helping businesses dramatically improve the effectiveness of their software development and design engineering efforts. In the course of this career he has worked at the cutting edge of software and business systems development for the best part of thirty years. Throughout, he has consistently inspired people to improve their own capabilities - along with those of their teams and organisations. He spent three years as CEO of the UK's first 100% agile software-intensive product-development and consultancy start-up, serving major clients in Telecoms, Finance, Media, eBusiness, etc., and has for the past nine years headed a Software Development Management Consultancy advising organisations how best to manage software-intensive product development in all its aspects. More about Bob Marshall and the Rightshifting you can find here. Has managed or supervised a number of IT consulting and software development and implementation projects in Baltic and Nordic European countries. Has large experience working with customers in IT, utilities, telecommunications and banking industries. Uses and promotes Agiles software development practices as well as open source software. Has long experience in Oracle technologies and as well in Ruby and Ruby on Rails development. Has created several Ruby open source projects and contributes to many other as well. Sun Tzu once said the ultimate responsibility of generalship is manover into a position of success. How do we do this in software? This is my quest. I work as a Lean and Kanban coach, building peoples and systems that enables you to cut time to market and improve quality. During my journey I’ve helped helped several software teams deliver with confidence, scaled Scrum over multiple teams (cutting game cycle time from 24 months to 4) and improved life at operations using Kanban. I’m an author of the book ”Kanban and Scrum, making the most of both” and regularly train and coach in Lean, Kanban and TDD. André works as a software developer for Miles, a consultancy in Bergen, Norway. 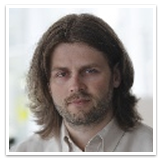 He is also involved in the local software development community in Bergen, organizing the yearly Booster conference. His wide area of interests include software craftmanship, Agile, DevOps, and systems thinking – essentially everything we didn't learn in school, but really need to know in order to build software properly. Armands has been in the Information Technology industry for 9 years and currently is a solution architect in a recently founded company eBIT Ltd. His diverse professional interests span from SOA concepts and augmented reality to Agile practice implementation and usability. He is also guest lecturer at Riga Technical University and Riga Business School. 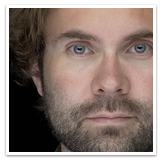 Ola Sundell is a home grown lean startup evangelist and lean entrepreneur. 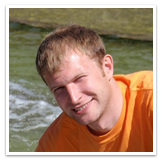 He is actively involved with 3 companies in the field of e- and gamelearning. Ola is the founder of Lean Startup Circle Finland and soon-to-be published author in the field of lean innovation and entrepreneurship. He is passionate about growth - products, teams and businesses achieving their escape velocity and acts also as Lean Startup mentor at Founder Institute Finland. Ola works with several startups in Helsinki at different stages of their product and business model development giving him a ring side view of the challenges developers face and how lean startup principles real applicable ways around them. His aim is to kick off a lean startup acceleration program in Helsinki next spring. Aleksi is leaning on experiences from scaling start-up to mid-size (7->70), growing mid-size (80->350), getting around in big corp (60 000->160 000) and starting new business. He has been a Techie, IT lead for a business unit, Enterprise architect and a founder. 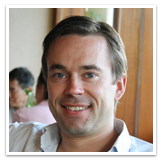 Besides leading Lean Startup Helsinki in Finland, Aleksi has been coaching a few startups. IT professional with a focus on process management and configuration management. In my IT carreer I have acted in several positions - ranging from a developer to project manager. Right now I have product owner role for SLA management tool. Product Manager (Product Owner) and Agile Coach, Adform. Agile evangelist in Lithuania! 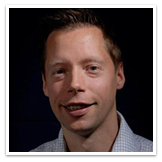 Vaidas works as a Product Manager and Agile Coach in Adform. He was part of the Scrum implementation team. Now he is responsible for one of the company key product as well as every day review and improvements of Scrum in Adform. 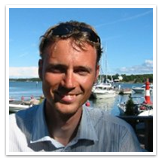 Before returning to Lithuania he helped to implement Scrum inLavasoft (Sweden). 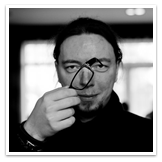 Vaidas is sharing his experiences in http://scrum.agile.lt blog, gives presentations in international and Lithuanian IT/Agile conferences, as well as consults/runs trainings for companies implementing Agile methods. 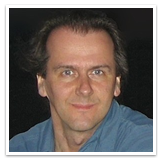 He is initiator of Agile Lithuania community, Agile and Scrum user group meetings, and Agile conferences in Lithuania. 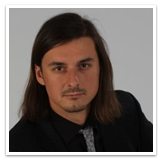 He is Certified Scrum Professional (CSP), Certified Scrum Master (CSM), Certified Scrum Product Owner (CSPO), and member of Lithuanian Project Management Association (LPVA). Vaidas is teaching “Agile Project Management with Scrum” course at Vilnius University. Igor is a software developer with master degree in computer science and 6 years of hands-on experience. 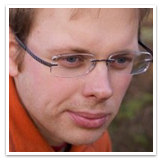 He builds web applications and does infrastructure planning and automation. 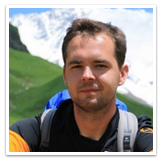 Igor actively uses Opscode Chef and participates in its development. He was nominated as a Chef release MVP. He has developed several own tools that make work with Chef easier and bring best software development practices to infrastructure development industry. Developing IT systems since 2002. 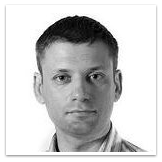 In 2004 joined TouK, a start-up Polish ISV at that time, as a Java developer and has been helping grow the company ever since. In the meantime took part in projects in many roles: from a tester to a system architect to a project manager. From the dawn of time a believer in the agile values, though only found out they are actually called “agile” in 2008. Later on introduced Scrum and then Kanban in TouK. Currently holding a position of the board member; from time to time managing projects or coding a little bit. Experienced in delivering systems for enterprises, mainly in telco and finance areas. Really passionate about making companies work as effectively as possible. Coaching teams and evangelizing agility. Strongly believing in simplicity (make IT simple), versatility (developers not programmers) and quality (thou shalt not do harm to software). An active member of the Agile Warsaw community, delivering there a presentation once in a while. In free time doing too much stuff - traveling a lot, scuba&free diving here and there, in between - playing a guitar in a rockmetal band.